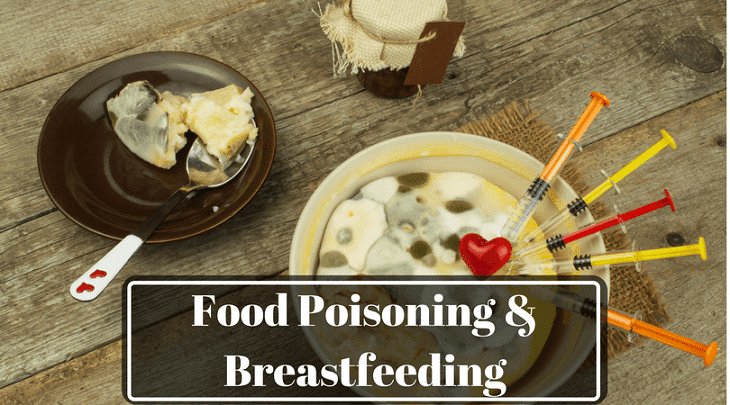 Food Poisoning And Breastfeeding: Should You Keep On Nursing? →Food Poisoning And Breastfeeding: Should You Keep On Nursing? "I have food poisoning. Should I still breastfeed?" Basing on the extensive research I have done, the answer depends on the level of your food poisoning. But before I share with you these levels, look at the symptoms of food poisoning first and what usually causes it. According to WebMD, food poisoning is a broad term for different symptoms. In general, these are the symptoms (aside from the ones mentioned above) you are—accidentally or not—poisoned. Bloating and gas. You have this feeling of wanting to fart, or you’re actually passing gas uncontrollably. Weakness. When we vomit and go to the toilet often, our body loses a significant amount of electrolytes such as sodium, potassium, and magnesium. If we don’t have enough of them, we may experience weakness. Muscle ache. Another result of low levels of electrolytes is muscle pain because the muscle may contract too severely. Abdominal pain and cramping. Because food poisoning affects mostly our digestive system, it is normal to feel pain where the digestive organs are. Campylobacter. This bacterium can be gotten from raw or undercooked meat, untreated water, and unpasteurized milk. It usually takes at least two days for these bacteria to incubate and that’s the time you will feel the symptoms. It may stay in our body for up to one week. Salmonella. Aside from campylobacter, salmonella may also be found in unprocessed or undercooked meat, raw eggs, unpasteurized milk, and other dairy products. It takes at least 12 hours before you see or feel the symptoms of Salmonella infection. It stays in your body for four to seven days. Listeria. This bacterium is found in processed, ready-to-eat foods in the grocery such as the chilled sandwiches, sliced meats, and some soft cheeses. It takes at least a few days for this bacterium to incubate, and it may stay in your body for up to three days. E. Coli. This bacterium is commonly found in undercooked beef and unpasteurized milk. The incubation period is at least one day, and it stays in our body for up to several weeks. Shigella. You can get this bacterium from eating food that has been washed in contaminated water. It takes up to seven days for Shigella to incubate and it may stay for another seven days. Norovirus. 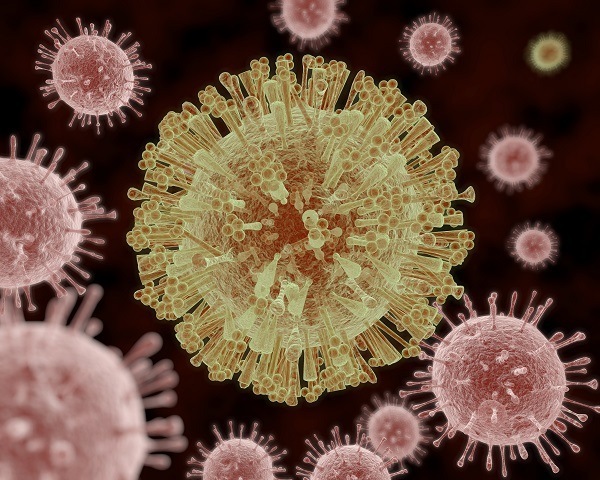 This virus is usually from raw shellfish and may be spread to another person through food and water. It takes at least 24 hours for the symptoms to appear and may stay in your body for a couple of days. Giardia intestinalis, Cryptosporidium, Entamoeba histolytica are parasites from infected water. It may take up to ten days before the symptoms start to appear. It may stay in your body for weeks or months if left untreated. Going back to the topic that we put on hold a while ago, you can probably sense that although some symptoms may look scary and severe, the majority of them affect only the digestive system. When the infection is secluded to this system, it doesn’t affect your breast milk. So yes, you may continue breastfeeding. Why? In case no one has told you yet, your breast milk contains all the good chemicals (or elements) your baby needs to fight off infections. Kellymom agrees. Even when you are sick, your baby will remain OK and may actually be stronger due to the nutrition he or she gets from your milk. 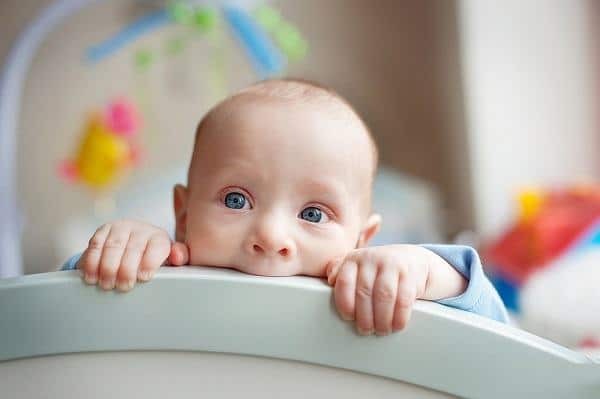 If you are feeling exhausted and weak from the constant toilet visits, you may pump your milk and ask your partner to feed the baby while you rest. You may just feed your baby lying down. This lessens the effort on your part. Make sure you alway keep your hands clean before touching your baby to lessen the chances of your little one catching your illness. When do you not breastfeed? If the infection has affected even the blood known as septicemia, you have to put nursing on hold until your doctor asks you to breastfeed again. The doctor will give you medicines and ask you not to feed for about 24 hours to get rid of the blood infection. Afterward, he or she may recommend breastfeeding again along with the continuous use of the medicines. Don’t worry about the side-effect of the medicine to your baby as your practitioner will give you one that’s safe even for your little one. While on “breastfeeding leave,” you may pump out your breast milk, so you don’t suffer from engorged breasts. So: You have food poisoning. Can you still breastfeed? When you are sick, it’s not a reason not to feed your baby. Your body may feel tired, but your tiny tot needs your breastmilk’s super power to stay immune. In case you need to take medicines, always inform your doctor that you are breastfeeding so he can prescribe you with breastfeeding-safe ones. How about Caffeine and Alcohol? How Long Do Alcohol And Caffeine Stay In Your Breastmilk?